Saturday morning, I said that what ails San Jose State basketball is an inability to move the ball and pick good shots. Throw that out at least for one game. San Jose State walked away Saturday with its most impressive win of the season, rallying to beat the University of Houston 72-68 on the road. The team’s top two recruits were the show: Rashad Muhammad, in continuing with what is becoming tradition for the Spartans, led in scoring with 21 points, including a 3-pointer in the final minutes that gave them the lead for good. More impressive, though, is Jalen James’ triple-double, just the second in school history and third in Mountain West history. The freshman guard had 12 points, 10 assists and 13 rebounds against the Cougars on Saturday. It is the first in the conference since 2006, and first since 2001 for San Jose State. This was a big win for the Spartans. They came back from an 11-point deficit with about eight minutes left, playing strong defense and taking advantage of Houston going cold from the field. They had 17 assists, by far the most in a game this season, and shot a season-high 48.9 percent from the field, including a 14 for 26 mark from 3-point range. D.J. Brown added five assists and four steals in the game, and Devante Wilson had 16 points. The Spartans are off 10 days before facing UC Davis on Dec. 18. Breaking down who I think is going to win in this weekend’s Mountain West football games. UNLV was picked to finish at or near the top of the Mountain West by almost everyone, but the luster of those predictions seems like a long, long time ago. The Rebels are 2-3 to open the season, not really putting up much of a fight against stronger competition they were supposed to go toe-to-toe with, and losing badly to two teams that no business coming to the Thomas and Mack Center and doing such things. UNLV is lucky one of those games didn’t count. 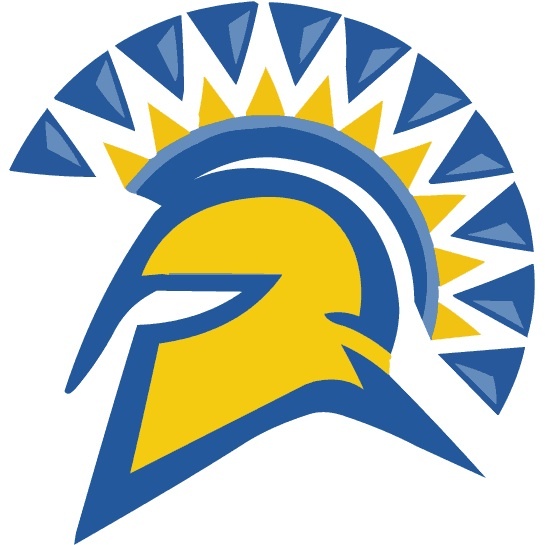 San Jose State has won two in a row with a strong win over Pepperdine. It still isn’t enough to get them out of the rankings early doldrums. Here are this week’s Mountain West Conference men’s basketball rankings for the first few weeks of the season. Three wins. That’s it. At least they were all in conference. It’s been a hard year for the San Jose State men’s soccer team. They didn’t get into the win column until late September, a month and a half into the season. They struggled to score at times, and lost a lot of games by wide margins to mediocre competition (5-0 to Houston Baptist; 6-1 to Cal Poly). So, they were going to be easy pickings at the WAC tournament at the Air Force Academy on Thursday, right? Wrong. the Spartans, the sixth seed in the tournament, knocked off No. 3 UNLV on penalty kicks, 9-8, after playing to a 2-2 tie through two overtimes. They got a lift from freshman Uriel Ayala, who score the game-winning goal in a shootout. Frankie Beauchamp had a goal and assist, and team scoring leader Rory Knibbs added his eighth goal for San Jose State. The Spartans entered the WAC soccer tournament at the Air Force Academy not exactly riding a high. Yes, they were better in their last five games — 2-2-1 — then they had been all season. It helped that the Spartans had beaten UNLV for their first win of the season. If the Spartans are to run the table at the WAC tournament, it will likely have to include defeating the conference’s top three seeds. They knocked off UNLV Thursday, will have to knock off No. 2 seed Cal State Bakersfield on Friday to reach the final, where top-seeded Seattle will likely be waiting. They face the Roadrunners at 5 p.m. Friday. These are boom times for the Cal State’s football schools, at least in terms of athletics, with San Diego State and San Jose State are each building up their facilities. The Vermeil-Walsh Athletic Complex, which will be the new North end zone at Spartans Stadium, is set to break ground soon at San Jose State and will make the stadium in general more hospitable. Spartan Gym, which houses the volleyball and gymnastics teams, is also getting a sorely needed facelift along with the rest of the Spartan Complex. The facility is also privately financed which, considering the hard times the school has fallen on financially, is a relief. Athletic director Gene Bleymaier hopes its the first step of a rebuild of Spartan Stadium, he said back in May. The stadium hasn’t had significant renovations since the 1980s. San Diego State is building a new basketball practice facility on campus. But with the future of Qualcomm Stadium uncertain and likely short, the Aztecs are looking at all options, including building an on-campus stadium. The Mountain West Conference is has six bowl tie-ins to fill this year, and potentially a seventh if the Pac-12 comes up short. San Jose State, as of right now, is still likely to be playing in December when this is all said and done, but Saturday’s loss really did a number to where. Before that, one of the higher bowls wasn’t out of the question. After … It’s looking bleak on the money end, at least. But still likely. But with the rest of the conference having two or three games left, it’s time to start untangling the Mountain West’s bowl list, and figure out who’s in, who’s out and where the hell they are going. For the record, things are just as unsettled at the top as they are at the bottom of the bowl picture. Fresno State could still ruin its BCS chances with two and almost certainly three games left, and there’s still some unlikely silliness with New Mexico, UNLV and Wyoming to sort out that could determine where the Spartans play.